This is a kiloware coming from a New Zealand seller. He does have excellent feedback, and I did bought from him once or twice, he is reliable and use real stamps on package (he did 2/m years ago, so I suppose he still do). 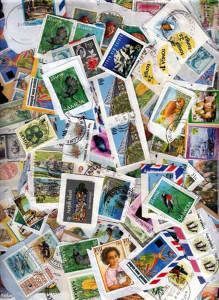 This is a nice lot of harder to find small pacific islands stamps on paper.